HOUSTON As reported by the Star-Courier in its June 21st edition, a jury found Raul Rodriguez of Huffman guilty of the murder of his neighbor, Kelly Danaher, and the shooting of two others at a party next to his house. Rodriguez had felt that the party was too loud, and confronted the neighbors with a gun, video camera and flashlight, reportedly to quiet them down. The trial verdict came on Wednesday, June 13 and after that was to continue with testimony to determine the punishment phase for Mr. Rodriguez. However, due to scheduling conflicts the conclusion of the trial was postponed until this week, and resumed on Monday. Rodriguez could be sentenced from 5 years to life in prison, and on Monday his family was testifying as to good aspects of his character. Prior to the break last week, the jury heard negative reports about Rodriguez, concerning bullying, child abuse, and animal cruelty, and now must decide his fate. A decision on his sentence is expected this week, but was not available at press time. CROSBY  At the last luncheon of the Crosby-Huffman Chamber of Commerce at Crosby Church, Christy Graves of H.C.E.S.D.#5 the grant and award winning ambulance service for Crosby discussed the necessity of businesses preparing for disasters such as hurricanes, tornadoes and floods to mention a few that are likely to happen in this area., the business preparation for disasters is a part of the Ready or Not Program being encouraged by the agency that is most prepared to handle emergencies in this area. All of this falls at a time when Tropical Storm Debby was threatening Texas but ended up running away and the wildfires were sprouting in Woodland Park, Colorado. Texans remember that Rita had one set of problems and Ike three years later had another. Both business and individual families should prepare a Grab it and go preparation bag that contains emergency need provisions put together so that folks can grab that container and leave immediately. Businesses and individuals should make plans now before the disaster strikes and businesses should determine how they will open up again after the disaster passes. Businesses need establish an authority to make decisions. They need to form a team to plan what to do in the event of disasters. Businesses need to establish a goal or mission for the business as relates to re-opening. Businesses need establish a time frame and budget to begin to re-open. Businessses need to analyze capabilities and hazards for their needs. They need to meet with outside agencies to determine what needs to be done. Talking with other businesses can also be educational. Assessment is needed for potential impact on sales and property. A review of company policies is generally needed and that includes insurance policies. Resources that are helpful for the company need to be identified before the disaster. Planners should do a risk chart that outlines matters such as potential emergencies and find recommendable actions. These plans and information should then go into development. Establish emergency proceedures. All business support documents or copies should be secured. An emergency call list should be made. Maps should be made on how to safely shut the business down and procedeures should be made to shut the business down. A list of where staff will flee to should be kept and should have phone numbers for each employee. The plan should be finalized with policy guidlines, a recovery plan should be established. Train employees and conduct drills needs to be done. Plans should be revised as businesses grow. A trove of websites and information can be obtained by calling (281) 328-6810. 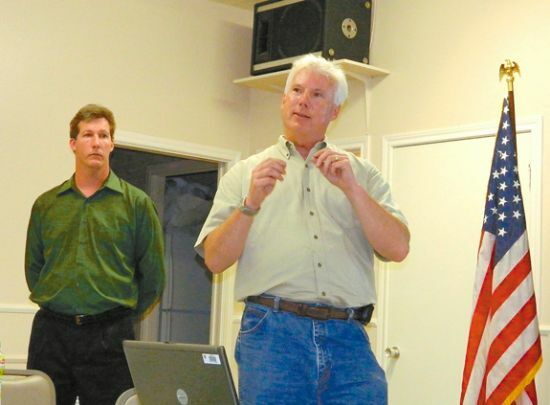 HIGHLANDS Almost a hundred persons packed the social hall of the Methodist Church last Thursday evening, to hear the latest information on the toxic waste pits in the nearby San Jacinto River. Making presentations were the TexansTogether advocacy group, and representatives from the federal Environmental Protection Agency, Dallas office. The meeting was called by the ad hoc San Jacinto River Coalition, represented by Sarah Davis, Jim Stouhall, Gary Wiggins, and others. Davis reminded the group that they have regular meetings on the second Thursday of every month, with the next meeting on July 12th at 7pm. Also present, but not speaking, were representatives of the state TCEQ, state Health Department, Harris County Pollution Control Services, and Harris County Attorneys office. Also attending were Scott Jones of the Galveston Bay Foundation, and their environmental consultant, recently hired, Jennifer Ronk, who will be advising them on technical matters. This months meeting was especially relevant, because results of a new study commissioned by TexansTogether Education Fund (TTEF) were available and discussed. Mike Ruger presented a brief summary of the report, which had been carried out by Dr. Stephen King, a well-known and respected Houston area environmental toxicologist. As reported by Ruger, Dr. Kings tests from September 2011 indicated that toxic levels of Dioxins and Furans had not diminished since 2005, even after the current containment cap had been put in place. Based on testing of sediment, fish and oysters collected near the waste pit site, Dr. King recommended that wading, swimming, fishing, crabbing and collecting of oysters and crabs should be banned. In addition, aquatic life caught in the area should not be consumed, he said. However, the presentation of current test results made by the EPA representatives differed from this study, and essentially came to a different conclusion. Donn Walters, Gary Miller, and Dr. Philip Turner of EPA presented slides and an analysis that indicated that their tests did not find any high level of toxins escaping into either the groundwater table or aquatic life, and no imminent health hazard. Levels of toxicity were deemed to be below those considered safe in normal environments, after the cap was put in place. Miller said that EPAs information was based on 240 sediment samples, some as deep as 10 feet, and 30 fish samples from three nearby areas. Sixteen additional soil borings taken in early May have not had test results reported yet, he said. Miller made the point that the cap is continually monitored, and if a problem showed it was leaking, it would be immediately repaired with stockpiled material. EPA said that the current schedule is for studies to continue into 2013, and an Action Plan to be drafted and implemented in 2014, which could call for removal of the material. HOUSTON Raul Rodriguez, 47, faces life in prison after jurors convicted him of murder on Wednesday, June 13, two years after a May 2010 confrontation over a noisy party in a Huffman neighborhood that led to the shooting death of 36-year-old Kelly Danaher, and shooting injuries of two other men. Prosecutors rejected claims of self-defense, using a 22-minute video Rodriguez made during the confrontation as pivotal evidence to describe him as a neighborhood bully who initiated the dispute. Rodriguez, irritated by the loud noise coming from the party, approached Danahers house with a pistol, a video camera, and a flashlight, which he allegedly shined in the victims faces to provoke them. On the video, Rodriguez is heard telling the partygoers to keep the noise down, and later on the phone with the police saying his life is in danger. The video then goes black after Danaher and two other men approach him. There is a laugh, then a gunshot, then the camera falls. Defense attorney Neal Davis argued Rodriguez only had a split second to defend himself after being charged by Danaher and the other men, one of whoms blood alcohol content was more than three times the legal limit. 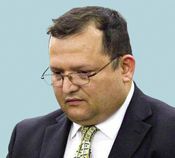 Davis maintained that Rodriguezs actions were protected under the Castle Doctrine, Texass version of a stand-your-ground law, which states that force is justified when there is a reasonable belief of threat. The Castle Doctrine was revised in 2007 to broaden the cases in which one is justified to use deadly force. However, prosecutor Donna Logan accused Rodriguez of being a gun-touting aggressor with a knowledge of hand-gun law who purposely used phrases like Im standing my ground and My life is in danger to assure his innocence. According to the Associated Press, one neighbor testified that Rodriguez, who has a concealed handgun license, had previously bragged about his guns. 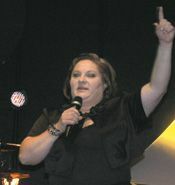 Danahers widow, Mindy Danaher, tearfully testified to the courtroom that contrary to the defense, Danaher was not a confrontational person, nor was he capable of causing the dispute, saying that Rodriguezs life was never in danger. The case has gained widespread attention, drawing similarities to the widely publicized fatal shooting of Trayvon Martin, a 17-year-old unarmed black male. Both defense cases cited self-defense laws. Rodriguezs attorneys presented no witnesses in his defense. The jury deliberated for five hours before convicting Rodriguez of murder, bringing the two-week trial to an end. Back in March, I fell and injured my knee. There was no bruising or swelling, but I couldn’t straighten or bend my leg all the way, and everyday movements caused me significant pain. At first I feared that I would need surgery, and I spent a lot of time and tears worrying about that possibility. But after several hospital visits — and even an MRI — my doctor could find nothing to operate on. To my surprise, I was disappointed by that news. As much as I had dreaded surgery, I appreciated the concrete-ness of it. It was a solution. Once it happened, I could heal. Instead, my injury remained a mystery, and the only remedy my doctor could prescribe was time. My doctor did suggest that I try some physical therapy to strengthen the muscles in my leg and ease the burden on my knee. Half a dozen basic exercises to be done for 30 minutes twice a day. How could this possibly help? I wondered. But after just two weeks, my range of motion improved, and the frequency of my pain decreased. On the outside everything looked the same, but on the inside things were happening. It occurs to me now that much of life passes in this way: below the surface, making progress that can hardly be noticed, much less quantified. How close are you to getting that promotion? How much longer until youre over that breakup? When will your panic and your joy over having a newborn settle into a comfortable rhythm? Of course it would be great if there were clear, concrete actions that we could take to speed up these processes, but in most cases all we can do is press on and hope for the best. We may feel like nothing is changing, because we have no proof, no measurements. But even the tiniest of improvements add up, like grains of sand, building upon each other gradually, until one day youre on a beach. Even though I cant see it on an X-ray or calculate it in numbers, I know Im headed toward that beach. Someday Ill be running across the sand full-speed, with no pain in my knee. I just have to trust that Im making progress each day. I just have to give it time. HIGHLANDS – Rotarians at their weekly luncheon heard a preview of a public meeting to be held this Thursday, June 14th at the Methodist Church, regarding new tests that indicate poisons leaching from the Toxic Waste Site in the river continue to be a public health threat, and may have even increased from earlier levels of toxicity. TexansTogether, and the San Jacinto River Coalition have teamed together to bring this information to local residents. They will host representatives of the Texas Commission on Environmental Quality, and the federal Environmental Protection Agency, at the meeting on Thursday night, according to Sarah Davis and Jim Strouhal of the Coaliltion. The public is invited to attend, and hear the latest test results and an update on planned actions of several involved parties. At a press conference on May 31st at the San Jacinto Monument, the San Jacinto River Coalition and Texans Together Education Fund released an independent scientific report revealing continued toxic dioxin and furan contamination of the San Jacinto River from the San Jacinto Waste Pits Superfund Site. Dr. Stephen King, the Houston toxicologist who wrote the report, states that near the San Jacinto River Waste Pits (SJRWP) Superfund Site that wading, swimming, fishing, crabbing, and collecting oysters and clams should be banned. 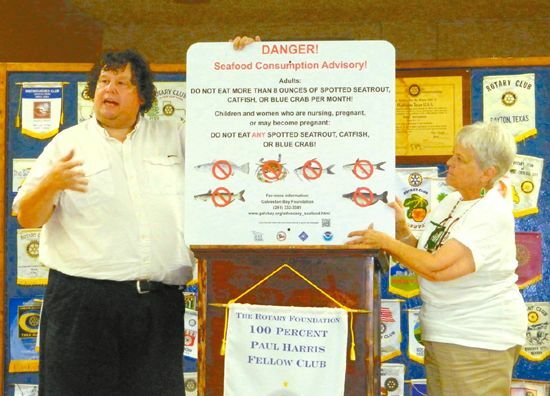 It is strongly recommended that the consumption of fish, crabs, oysters, and clams caught in proximity to the SJRWP among vulnerable or at-risk individuals, such as pregnant women, infants, children, the elderly, persons with impaired liver function, and among individuals with an impaired immune system be prohibited. The report and laboratory analysis was funded by a grant received by Texans Together Education Fund, a 501c3 civic engagement non-profit organization, from the Kirk Mitchell Environmental Law Fund. 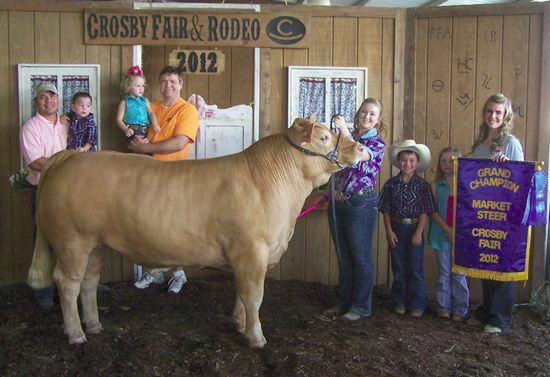 CROSBY  The Crosby Fair & Rodeo hosted their annual Livestock Auction and amassed an impressive $284,450 after the updates and resales. This year, unlike others, the Grand Champion Steer was not the top sale although it went for $11,500 to Ashton Walker for CertiFab Inc. it looked as if the steer would not gross above $6,000 but the auctioneer, Ed Phillips, reminded the audience of the importance in community recognition and elevated the sale beyond last year. Phillips has been with the Crosby Fair & Rodeo for the last 25 years. This year Cody Stephens Grand Champion Hog was sold for $13,750. There were three fajita barbecue pits made by Cody Stephens F.F.A. class sold as the auction was going on and the net results of this sale according to Scott Stephens is intended to go to making a scholarship fund in the name of Cody Stephens for Crosby High School Graduates. Next weeks Star-Courier will display the auction buyers, the beneficiaries and the livestock sold. 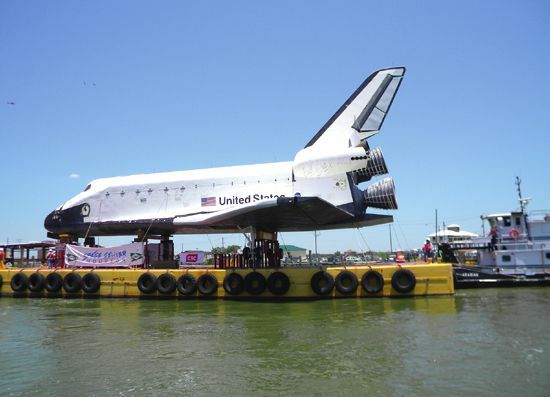 Clear Lake was the scene last Friday noon, of a dramatic sail-by as the government moved a replica of the Space Shuttle to its new permanent home at Space Center Houston. Tug boats pulled and pushed the barge holding the Shuttle up the channel, under the Highway 146 bridge, past the Kemah Boardwalk, and on to a temporary mooring next to the Hilton Hotel on the north shore of Clear Lake. The vessel had started its journey days earlier, having been removed from its previous location at Cape Canaveral in Florida. Tug boats pulled it around Florida and into the Gulf on its way to Houston. Hundreds of watchers lined the docks along the channel, and the coast line from the bay to the NASA barge dock near NASA Parkway. The barge dock was built 50 years ago, at the start of the space program, and has been rarely used. Sunday, the Shuttle was lift on to a huge truck with 144 wheels, and hauled down the highway to the Space Center Houston site. After a few months of preparation, the Shuttle will be open for public tours, including the inside of the vehicle.